Celebrities From Angelina Jolie's Perspective: Will The Most Seductive Hollywood Eyes Fit Everybody? Hardly any woman is completely satisfied with her appearance. Perhaps, everybody has wondered what would have happened if it was different. At the same time, our ideas about the perfect body can be somewhat exaggerated. There are many beauties whom you would like to resemble. For example, Angelina Jolie – the owner of mesmerizing expressive eyes. However, not every woman would look amazing with the similar facial features. 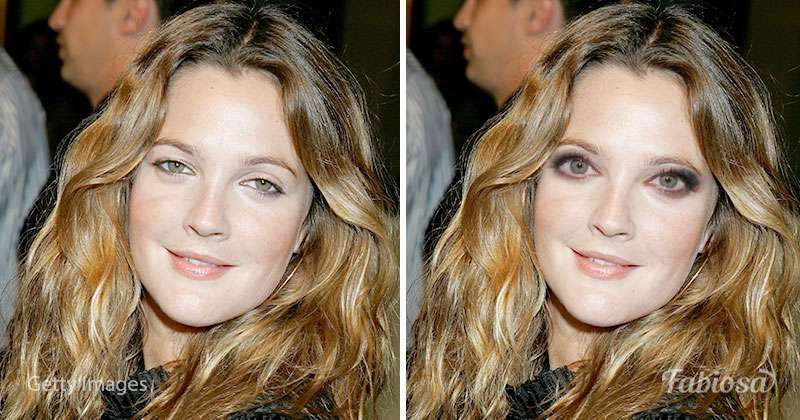 That is why we tried to see whether Jolie’s eyes will fit the 10 most recognizable celebrities. The singer is said to be previously a bit shy about her small eyes. If they were a little bigger, her face would become more open. Unfortunately, her peculiar mysteriousness wouldn’t be the woman’s key feature anymore, so let’s take a look on the singer’s “new eyes” only in our imagination. Barrymore is also the owner of small tender eyes. However, they do not spoil the actress’ appearance and provide her with even greater charm. With “Jolie's eyes,” Drew looks unnecessarily surprised and resembles a doll, doesn’t she? Renee also has small eyes. 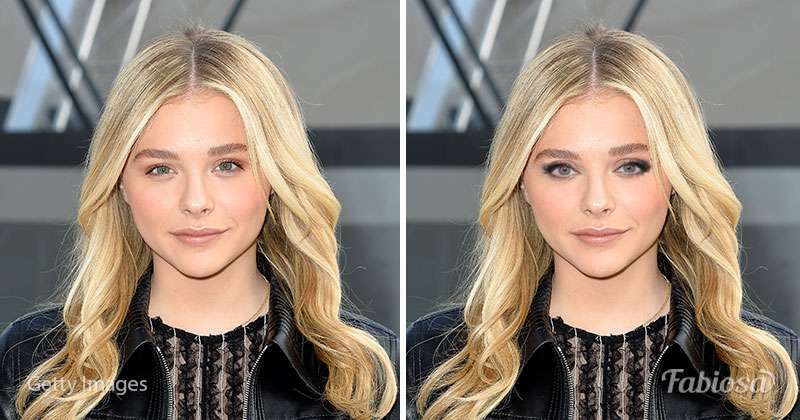 Perhaps, if they were a bit larger, the expression of her face would become softer, but this effect can be easily achieved with the help of competent make-up. Lucy is an extraordinarily attractive woman; the ideal example of oriental beauty. Neither the shape nor the color of Angelina’s eyes are suitable to the actress. This is all about a special charm for which her fans extremely adore this spectacular woman. Pamela’s small eyes size has always been compensated with catchy, provocative makeup. However, in the recent times, the actress prefers to wear less make-up, which makes her look younger and feminine. 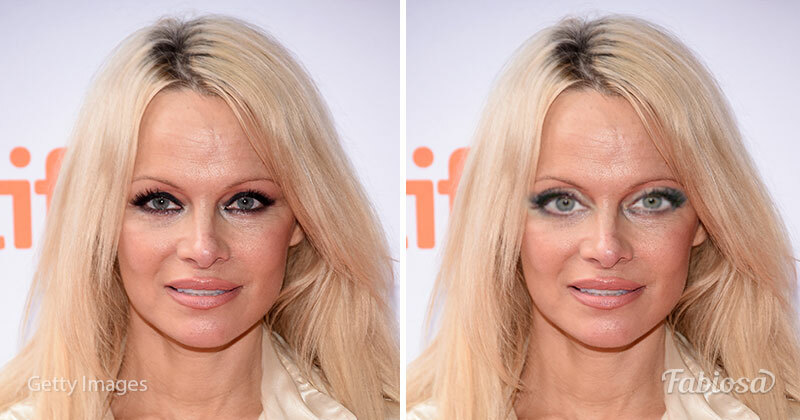 Although the color of her eyes is similar to Angelina’s, the shape and size are somewhat inappropriate for Anderson. A young cutie with a memorable appearance. Large eyes would make her pretty face romantic and won’t spoil it at all. Unfortunately, she would then lose her peculiar facial features and would look like most girls of the same type. Longoria often prefers makeup to give proper emphasis to her eyes. 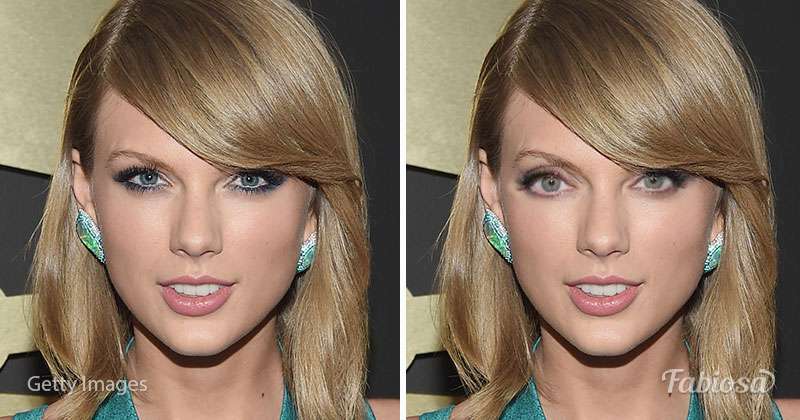 Sometimes, it even seems that with the help of cosmetics, she tries to make them look even more expressive and open, although the features of her face can be called almost ideal. If she had the shape of Jolie’s eyes, she would look too simple. The singer has several childish facial features. That is why she will almost certainly retain a youthful appearance for many years. If her eyes were slightly bigger and not so deep-set, she would look nice, but would definitely lose her individuality. Although the Duchess’ features are difficult to call absolutely correct, she still looks very attractive. Despite the fact that Kate and Angelina have a similar face oval, Jolie’s eyes don’t fit the Duchess. 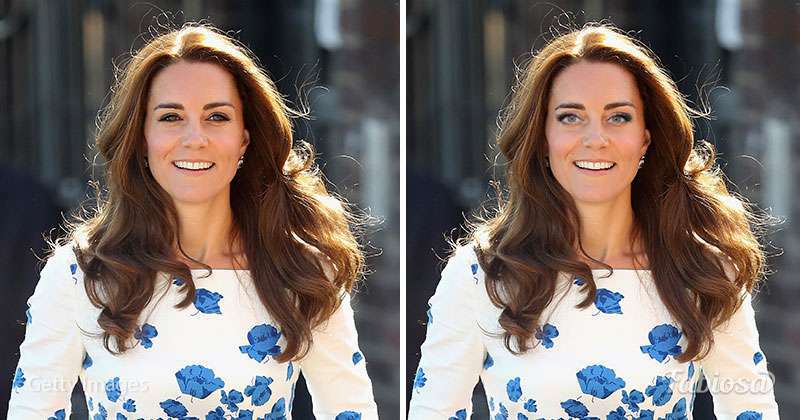 Kate simply loses her elusive charm, so loved by her fans. The swarthy cutie became unrecognizable when we “tried” Angelina’s eyes on her. 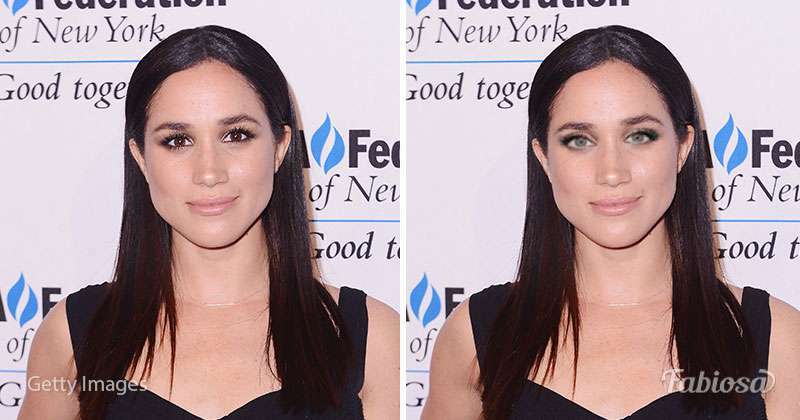 It cannot be said the Duchess of Sussex looks completely bad. However, let Jolie’s eyes be there only for her. Women tend to improve their appearance, not missing any chance. They monitor the skin’s condition, try new tools and makeup techniques. However, sometimes it’s just worth looking at your reflection in the mirror more deeply. True beauty is hidden under the cosmetics. Nature awarded you with everything to be perfect, and you should just love yourself as you are. Use your appearance to look amazing.